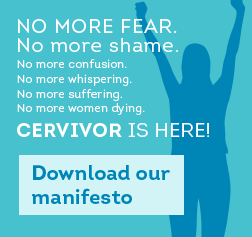 Cancer Related Traumatic Stress is real and the The Cancer Trauma Project, together with Cervivor is doing something about it. 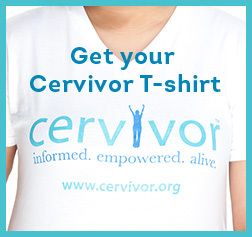 We appreciate this opportunity to share our project with the Cervivor community and to make a lasting impact. 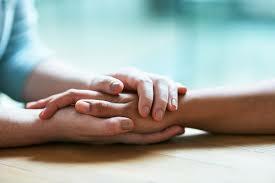 The Cancer Trauma Project seeks to promote understanding of the emotional trauma people experience from cancer.  We do this by listening to stories, writing, speaking, and training providers and we need your help. Cancer Related Traumatic Stress is related to Post Traumatic Stress Disorder (PTSD) in that it falls on the spectrum of stress-related mental health conditions but it is not widely recognized. In fact, if your medical team told you about it, please contact us because we want to thank them! 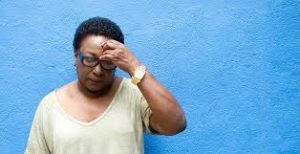 More often people aren’t told about Cancer Related Traumatic Stress even though people with cancer are often screened for distress. Distress and traumatic stress are very different. We might be distressed about being late to an appointment, having another scan, preparing for surgery or something else. For the most part, when the event that is causing us distress is over, we are OK. With traumatic stress, the effects are lasting, might not show themselves until long after the event, and are often marked by experiencing the same thoughts, feelings, and body sensations as they did during the event, even though we know we are nowhere near the doctor’s office. This is a hallmark or trauma – your body remembers the event and can activate the same feelings and sensations as if you were there again. In its extreme form, this is a flashback.The most common events during the cancer journey that cause traumatic stress are the diagnosis conversation, the time between that conversation and a treatment plan or starting treatment, and follow up scans. But we know that the cancer journey is fraught with many more daily events, like having to get another needle, realizing that your plans for biological children may be over, losing your hair, figuring out how to explain to employers why you were out of work, medical bills, the onslaught of “well wishes” from others, sharing the news with loved ones, especially children, and many others. The chemo. You feel like you’re really sick. It’s the chemicals and not the cancer but your mind can’t distinguish that. So emotionally you’re dying. I felt like I was facing my death even though I had some chances I wasn’t going to die. I could have. But I gripped it like I could die. The biggest thing is I couldn’t ever feel grounded. I felt I was always on, trying to go 100 miles an hour to try and deal with everything. It is as if you’re playing dodge ball and everyone is always throwing balls at you. I’d stay up late at night, my heart was racing, my actions were quick, trying to figure things out. Panic is disorganized but I would focus on let’s get on with everything. That stayed at a heightened level. When we talk about the emotional trauma related to cancer so many people validate what we are saying but when push comes to shove people aren’t getting the right kind of mental health treatment and that is a BIG issue. To be effective we have to hear your stories. 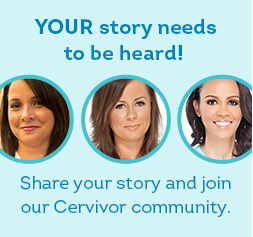 We are grateful that the Cervivor community teaches cervivors how to powerfully share their stories. We all know that having cancer can be a very stressful experience for both the person with cancer and their support system. But what hasn’t been clearly documented is the way the stress of cancer is emotional trauma. The Cancer Trauma Project is looking at trauma as Dr. Saakvitne and her colleagues did. Trauma in people with cancer is the unique individual experience of an event, a series of events, or a set of enduring conditions, in which the individual’s ability to integrate their emotional experience is overwhelmed. Your story provides the wisdom that guides our work. 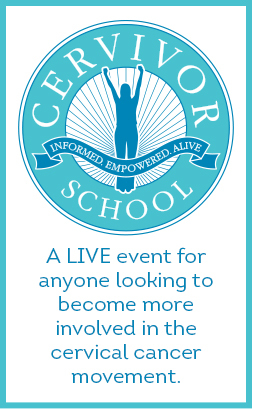 If you’d like to participate you can complete our screening or send an email to contact@cancertrauma.com. After you complete the screening form, we’ll follow up to schedule an interview or send you the online interview. If you’re in the Washington, DC area, we’d love to meet you in person. If we are going to truly help people with Cancer Related Traumatic Stress, we need to know how the emotional trauma of cancer happens. By listening to your stories, the Cancer Trauma Project will learn from you and spread the word through writing, speaking, and training. Please join us in this mission. Click here to complete the screening to share your story. I recently learned that April 8-14 is Minority Cancer Week. It’s funny how just over a year ago, finding this out wouldn’t have meant much to me. I mean come on, there is a week, a month, or a day for every cause you can imagine. There is even National Hot Dog Day! However, as an African American woman who has fought the battle, having an awareness means more to me than I ever thought it would! Cancer has attacked six of my close family members and taken the lives of four of them…most under the age of 65. In January of 2017, at the age of 33, I was diagnosed with cervical cancer…the youngest of my family with a cancer diagnosis. When preparing for treatment, the standard family medical history questions came up. That made me realize just how devastating cancer had been to my family. Once treatment was over, I decided to share my diagnosis with the general population. It was crazy and scary to me how many other women had dealt with this same disease. Since my diagnosis, I have met several other women of my ethnicity who have also been diagnosed with cervical cancer at some point in their lives. Once I began to research, I saw that statistics show that African American women are diagnosed more, are at higher risk, and even die more often. I knew that I had to do something in my community to make women like myself more aware! After sharing my story time and time again in my salon, I realized just how little most women know about the causes of cervical cancer. 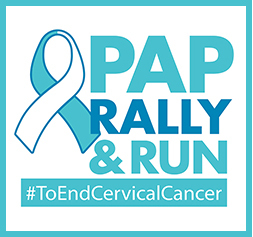 Many women do not even know the difference between a pap test and a well-woman exam, or that we can have pre-cancer before actually having invasive cancer, or how the recommended screenings are part of cervical cancer prevention! In my case, I missed one year…just one visit with my gynecologist. That was just enough time for my cancer to advance to stage 2b. 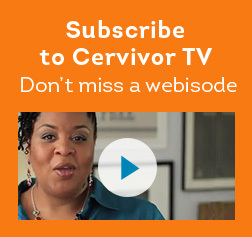 What if I had not skipped a year of screening? What if I had known the symptoms and had gone to the doctor when I first experienced simple symptoms? What if I knew more to begin with? 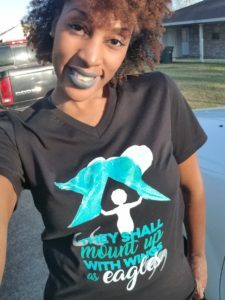 I want to stop the “what if’s” in my community…..that is what fuels my advocacy for cervical cancer awareness and prevention! Angeline is a Cervivor from Lake Charles, LA. She will be attending her first Cervivor School in Cape Cod, MA in September and has submitted her Cervivor story to be added to our site.